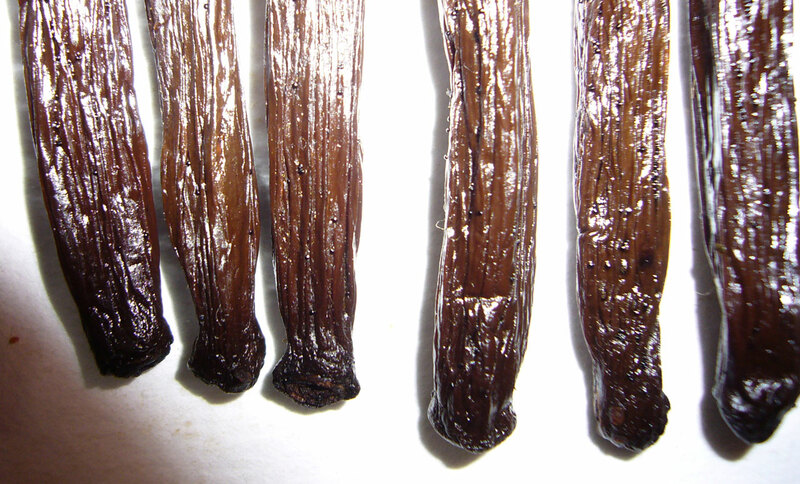 Vanilla beans reviewed: 17cm, 18cm, 19cm+ Grade A Madagascar planifolia. Cost: Vanilla Gold sent beans for review. I operate on a very specialized level, with only Madagascar beans from th eSAVA region. My partner is from Britain and has lived in Madagascar for 35 years. He and I met through the stone business and for years he brought me fresh vanilla when we met to do business. We decided to only start a business if we could offer consumers the best quality Madagascar has to offer, and in turn be able to undercut everyone else’s prices. He uses 2 master graders, who have been working with vanilla for over 20 years each. He gets a good idea of what the price will be months in advance according to the day the orchids bloomed and how well they were pollinated (the weather has a lot to do with it). When he gets a bead on the price then he offers the graders a premium price over the average market price. 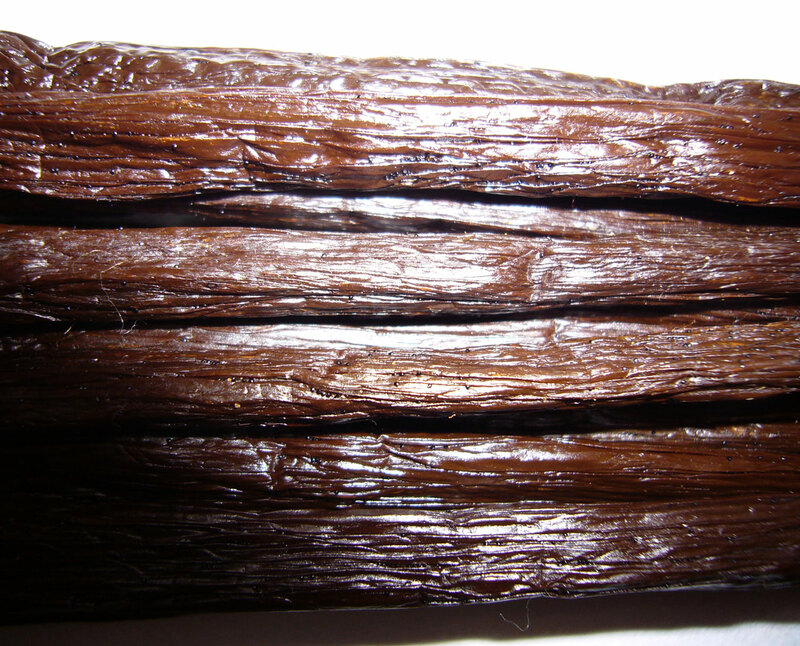 They select the best beans over 16 cm long from several sources in the SAVA region. They in turn sell it to us and make a profit. The beans are quite potent, and often “blossom” with Givre. We imported around 330 pounds and can import as much as 900 pounds before the quality may drop and therefore we stop buying. I refuse to offer anything but the best, as this is a part time business for me and I don’t want to mess around with a second-rate product. We try to keep our overhead low so we can be flexible with the pricing. 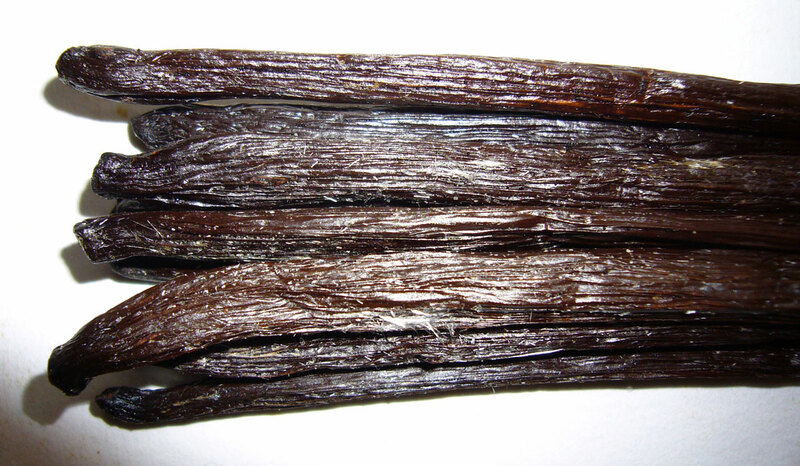 –Pete, Vanilla Gold LLC, email, April 8, 2008. The beans arrived in zip-top bags, but the 17cm and 18cm beans had been recently vacuum packed. 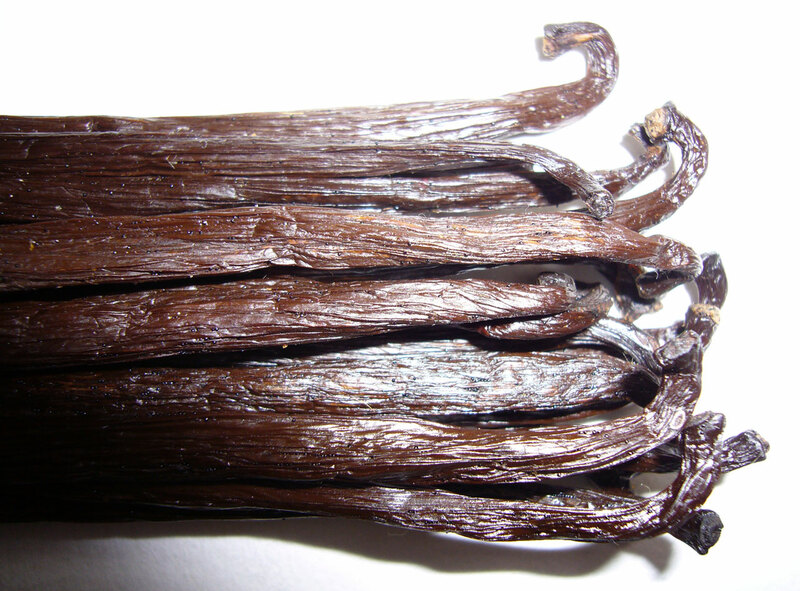 Vanilla Gold sent vanilla beans in three lengths for this review. All three sizes are nearly identical in quality. All three lengths are reviewed here, and each has an image gallery (17cm, 18cm, 19cm+). 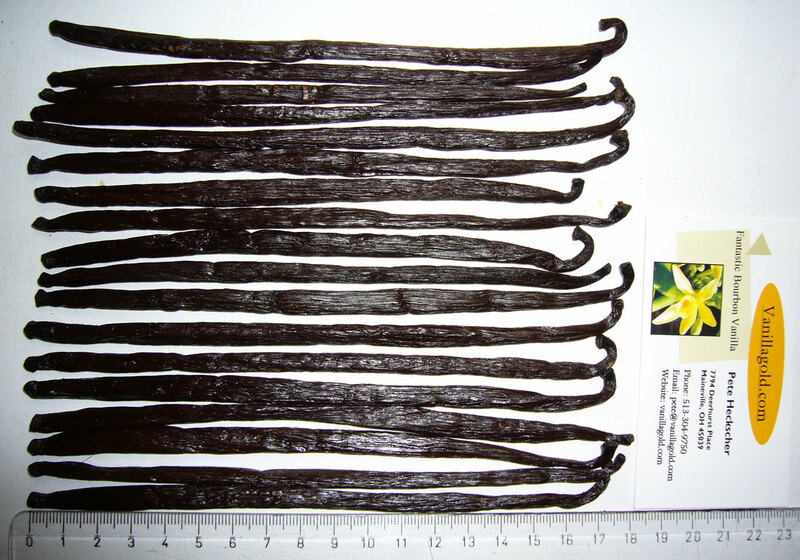 The 19cm+ beans are among the longest Madagascar planifolia beans featured on the site (April, 2008). 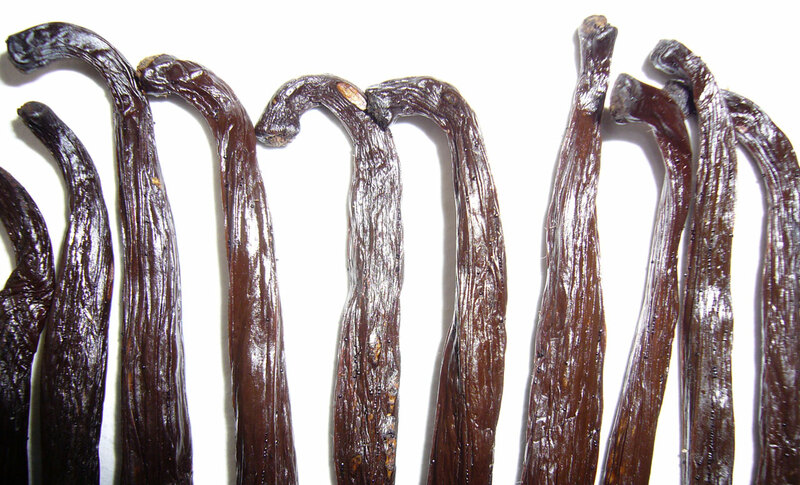 These are fantastic, very traditional, Madagascar vanilla beans. All the beans are black to dark brown. 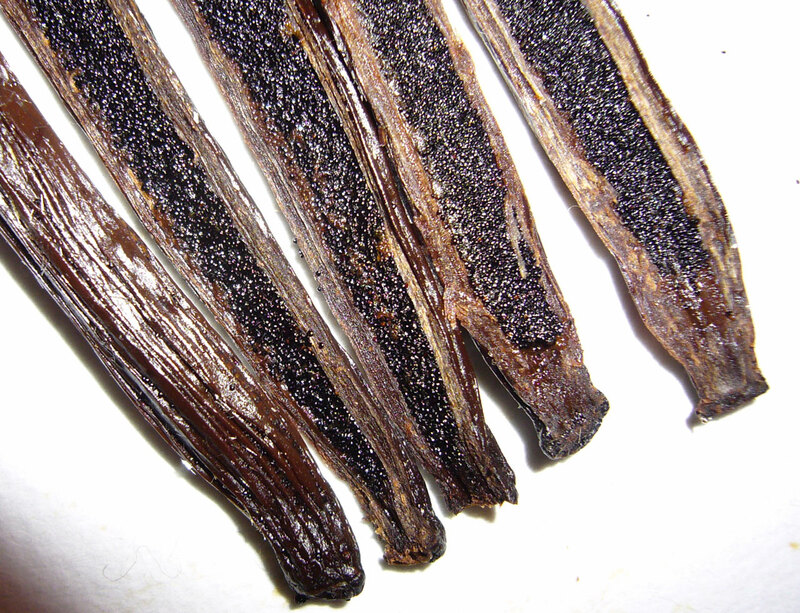 The skin is oily and supple. They are flexible, but not floppy — they’re plump and firm with caviar. They have a nice aroma, but it’s more buttery and mellow than I expected — I’m sure it’s because they weren’t vacuum packed in small quantities and less moisture was drawn from the beans. 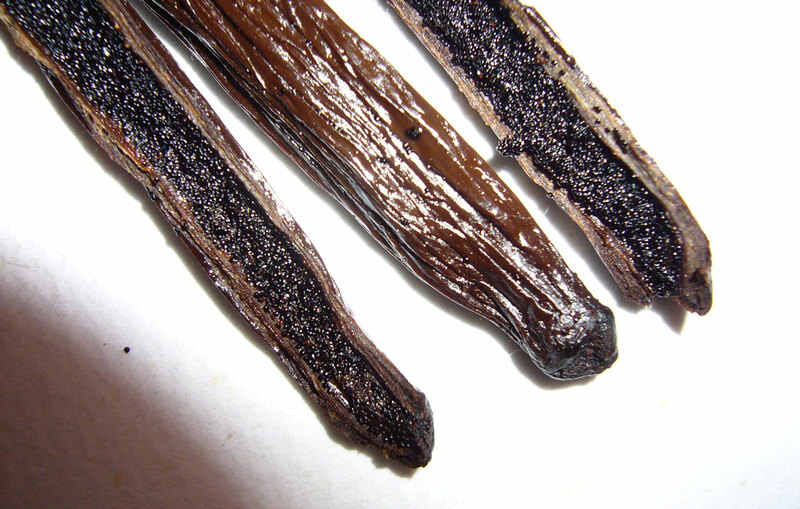 Each vanilla bean is in perfect condition — none are split or damaged. As Pete mentioned in his e-mail, these come from master graders in Madagascar. 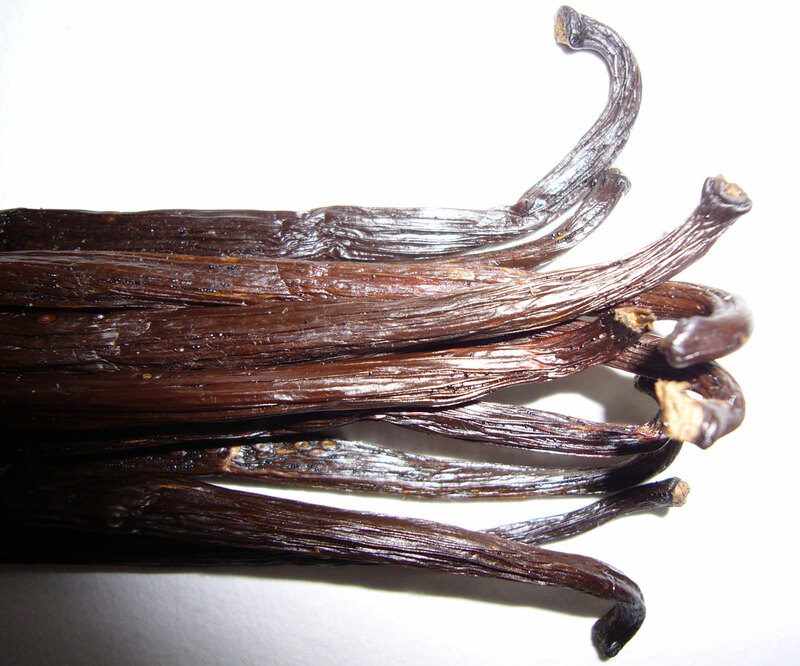 Short split ends are perfectly acceptable in gourmet vanilla, they indicate a ripe, flavorful bean. However, when graders work with the super-high volumes found in Madagascar, it’s possible to select only beans that are cosmetically perfect. 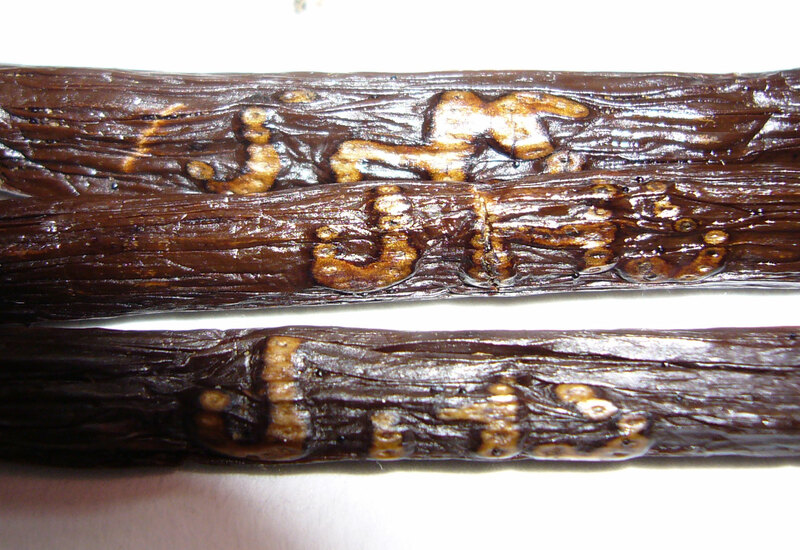 Tattoos are visible on many beans. Several originated from the same grower. While up to half of each length have the same tattoo, there are no common growers among the different lengths. 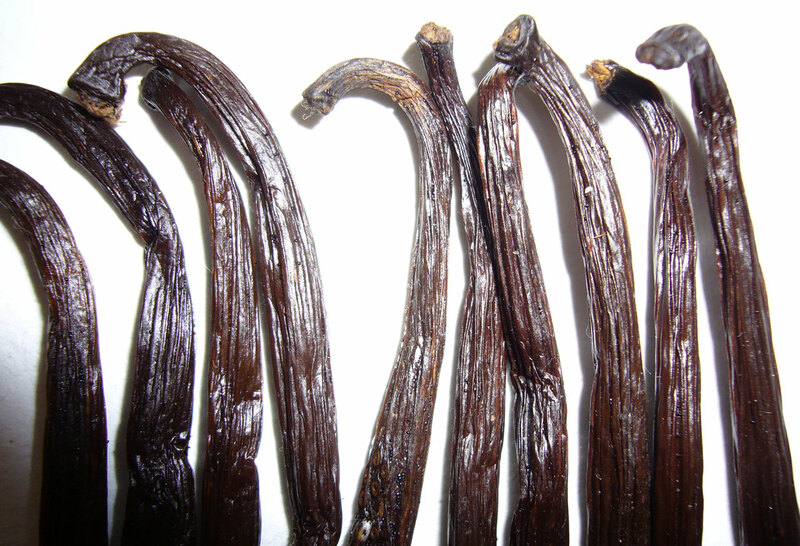 All the Vanilla Gold beans are moist. The 18cm and 19cm+ are a tiny bit woodier than the 17cm beans. 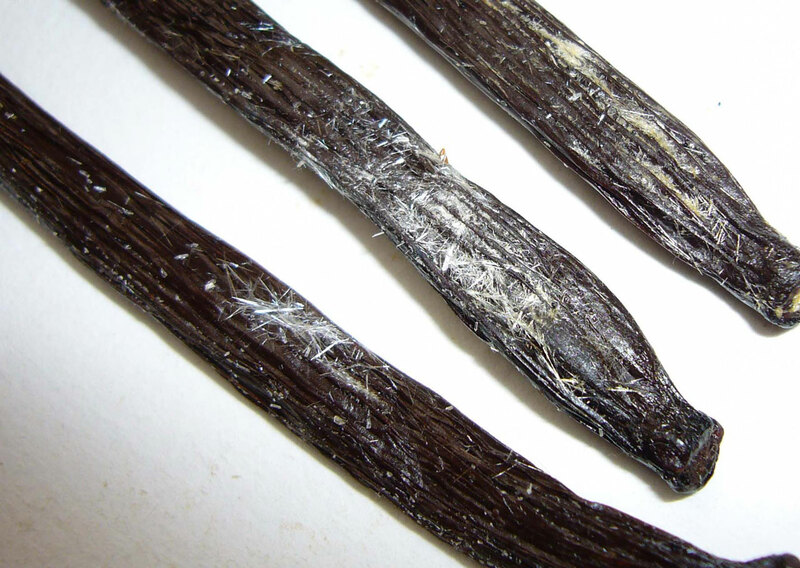 Longer vanilla spends more time maturing, it’s completely normal for it to have a woodier/thicker skin. 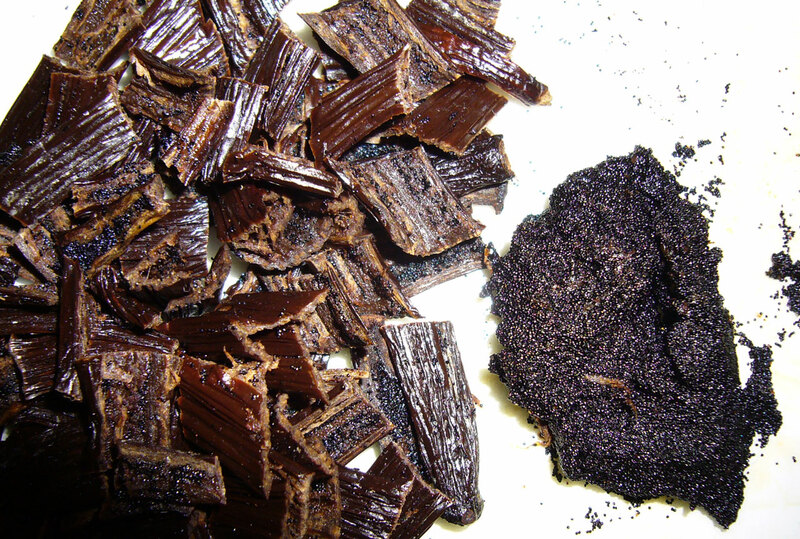 Caviar from the 17cm vanilla is thick and fatty. 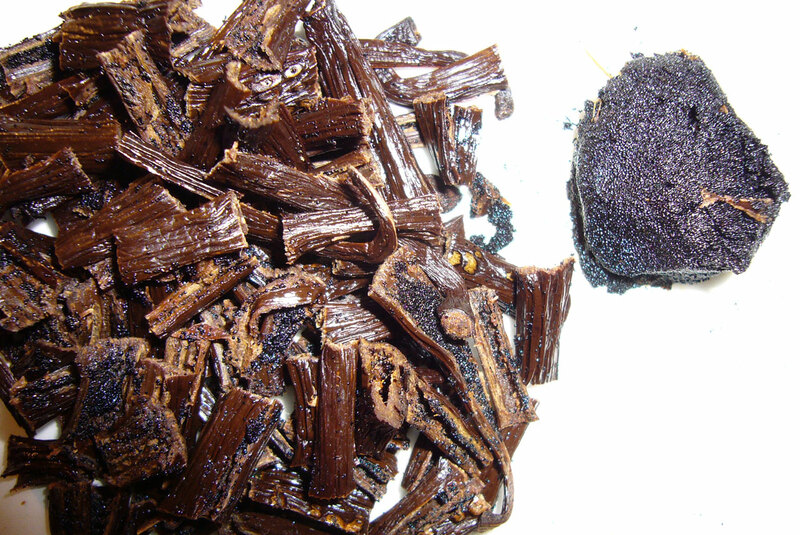 Caviar from the 18cm and 19cm+ size is oily, and slightly less fatty. Caviar yield was very high, especially from the 17cm beans. The 17cm and 18cm beans were recently vacuum packed. The 19cm+ size have been open for some time, allowing a heavy coating of frost to form. I was able to take some clear pictures of the frost. 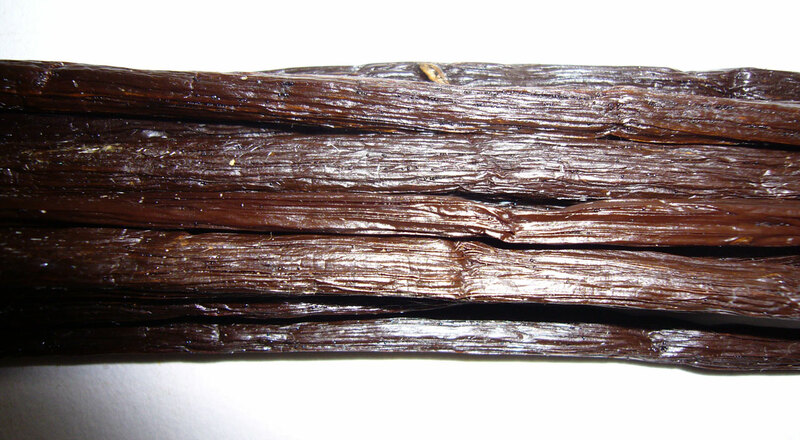 I sampled this vanilla in a crème brûlée. The flavor was strong and sweet. All the beans are consistently oily, plump, and beautiful. Overall, the shortest are my personal favorite. 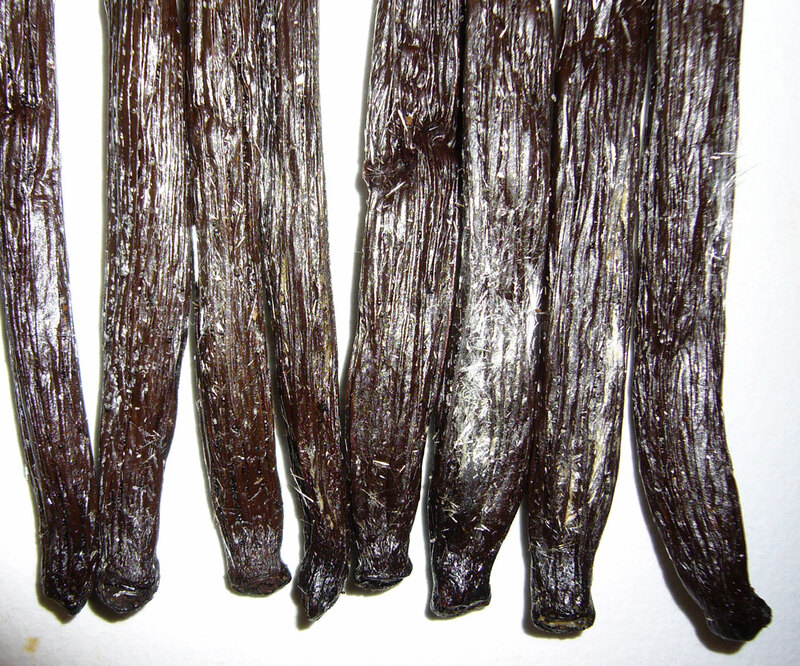 This is the average sized Madagascar vanilla, grown in great volumes, so it tends to be the nicest. I think it’s the nicest of the three sizes — but only slightly. 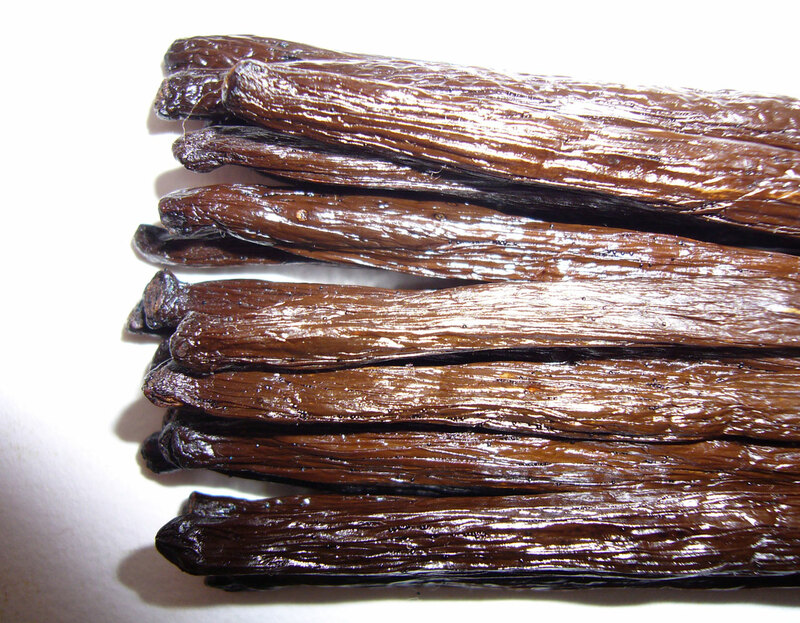 I highly recommend Vanilla Gold’s gourmet Madagascar vanilla.